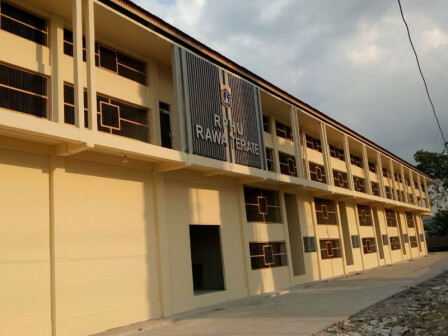 The poultry slaughterhouse (RPHU) development in Rawa Terate Urban Village, East Jakarta will be continued by spending Rp 71.4 billion.
" It is targeted to be executed in June and complete this year "
Jakarta Maritime, Agriculture, and Food Security Agency's Livestock Section Head, Sri Hartati stated, last year, its development reached 30 percent which includes 19 poultry slaughterhouses, 3 slaughterhouses, and 1 waste water treatment plant (IPAL). "We'll continue development of additional IPAL and mess, as well as purchase semi automatic poultry cutting machine and fencing," he stated, Monday (2/11). The Rawa Terate RPHU would be used as a relocation of poultry slaughterhouses in Pisangan Baru, Matraman, and Enjo Market, Pulogadung, East Jakarta. "It is targeted to be executed in June and complete this year and relocation process could be realized in 2020," he exclaimed. Thus far auction has been ongoing while socializing space procurement for bu siness people who will be relocated," he said.